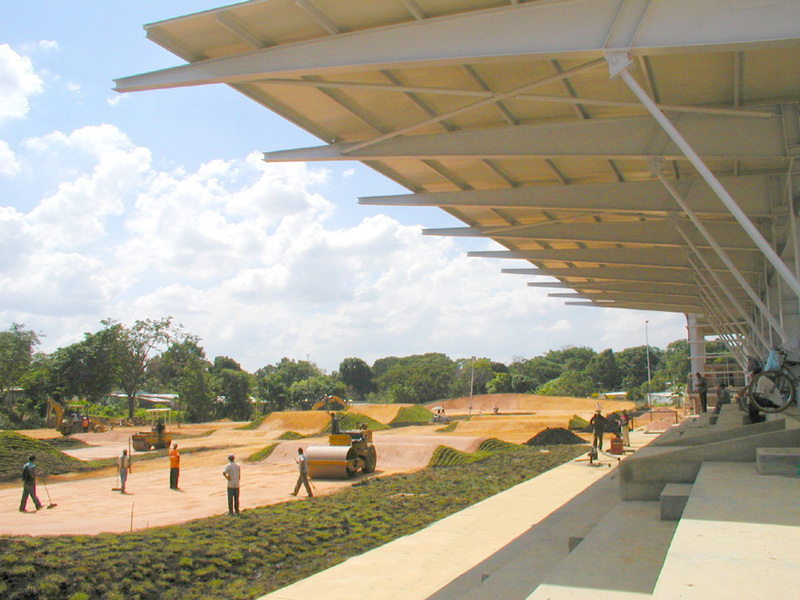 The bicycle motorcross (BMX) center is part of the sports installations within the infrastructure of the Cojedes National Games 2003. This center, together with archery, bolas criollas and gymnasium, make up the Rubén Soto Sports Center located in the city of Tinaquillo, Falcón Municipality, Cojedes State. The installations of the BMX center, consisting of a track, services for the athletes, trainers and judges, public services, and the bleacher area, primarily target the development and training of athletes and competitions at the national and international levels. These sports installations were to be built in time for use in the Cojedes National Games 2003, and also for training activities to promote the progress of our athletes. The BMX complex has three clearly defined elements: the track, the service building and the bleachers. 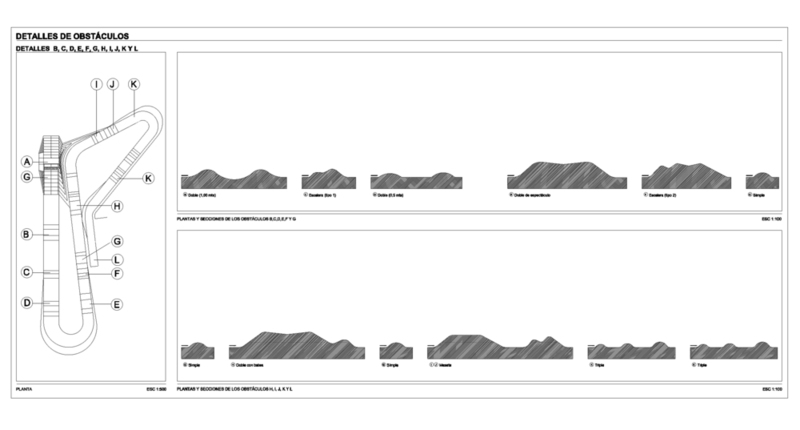 These parts mesh and relate to each other, creating a unit that amalgamates with the urban setting and with its specific location. At all times care was taken to keep the public separate from the athletes, trainers, technicians and judges, so as not to impede the sports activities or the observation of competitions and training. Public access leading to the spectator bleachers passes through the central plaza of the Rubén Soto Sports Center, which sits three meters above the BMX track like a great balcony overlooking the competition area. 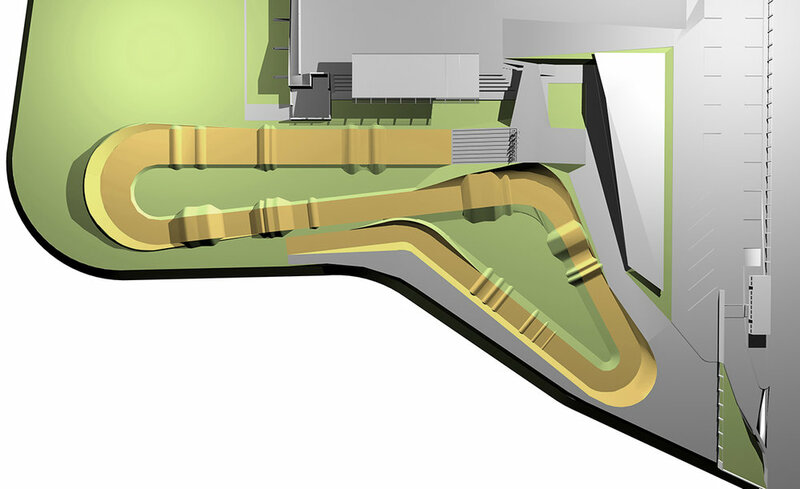 The service building is surrounded on three of its four sides by slopes built using the topography, however its main façade, which faces the track, is much more permeable, thus allowing the smooth flow of bicycle traffic.